Garrett Leight Warren - Whiskey Tortoise Need Help? 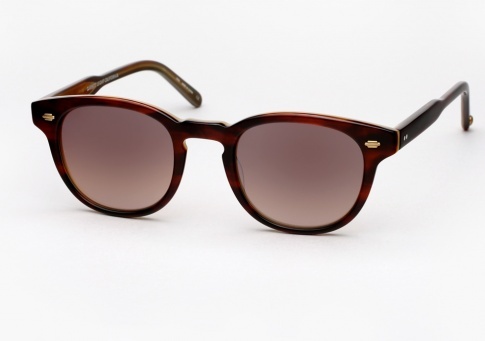 The Garrett Leight Warren is a timeless unisex sunglass with classic proportions. It features thick acetate and metal plaques lending a vintage vibe, balanced with a unique colorway that is decidedly contemporary. Additionally its riveted 5-barrell hinges offer strength and durability. It is offered here in "Whiskey Tortoise" paired with "Brown Layered Mirror" lenses. A technologically advanced method was employed for the lenses, whereby a mirror coating is sandwiched between layers of CR-39, protecting the mirror coating from scratches and degradation whilst also creating a unique softer effect. Hand drilled riveted 5-barrell hinges plated in gold and silver, provide strength and durability.